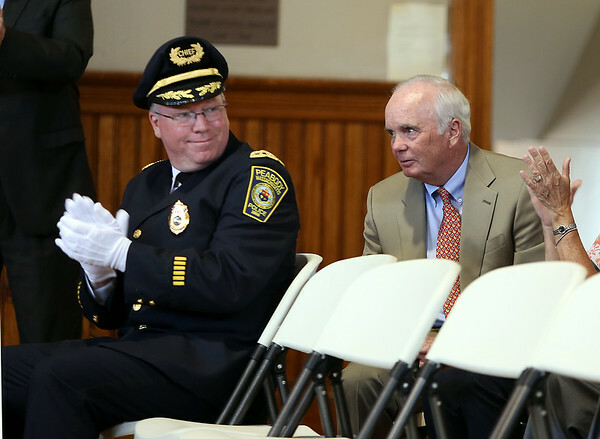 Interim Chief of Police Bob St. Pierre, right, gets applauded by newly appointed Chief of Police Tom Griffin, left, after Peabody Mayor Ted Bettencourt thanked St. Pierre for stepping in. DAVID LE/Staff photo. 7/24/14.